Our mission is to design and install easy-to-use AV systems that help businesses maximize their efforts and individuals to enjoy a better lifestyle. Sphere Home Technologies, Inc. in Birmingham, AL strives to operate a productive and helpful business that focuses on offering specialized, cutting edge technology products and impeccable customer service. We value customers as the foundation of our business, and aim for perfection with the installation and maintenance of all our products and services. Our dedication to service is matched with friendliness and promptness, making us the company of choice for all of your home technology needs. Here at Nice Guys we love to bring people and technology together. We pride ourselves in building relationships with our clients. We never over book. Every one of our clients get the same "No Rush" experience. We treat you like family and take the time to make sure you are an expert before we leave. Whether you are getting a TV mounted, multiple TVs mounted, a Home Theater put in, or music across your home, we are here to help you every step of the way. Nice Guys TV Mountings: Friendly Faces. Professional Results. Twist Technology has more experience than any other technology integrator nationwide. From professional athletes’ homes to IMAX Theaters, no other company has our expertise. Twist Technology is a Technology Contractor providing and installing technology systems for Commercial & Residential projects. These systems include: Audio / Video / Lighting / Building Automation / Camera and Theater. Twist's management team have completed hundreds of projects world wide. Welcome, Two Guys and Some Wire specialize in Plasma – LCD – LED – 3D TV and Home Theater Installations, as well as Pre Wiring of new homes and retro-fit of older homes. We charge a fair hourly rate, and any materials we supply are usually priced less than what you would find in the electronics store. We work in residential and commercial facilities and have done installation work in homes and businesses since 1972. we are fully insured and are ready to serve you and make your dreams come true. We are located in Birmingham, Alabama doing installations since 1999. From the planning stage to component selection to design and implementation, we can assist you every step of the way. Let us help you create an enjoyable audio/video atmosphere with exciting new technologies that fit your lifestyle and budget. We provide On-Site consultation, so call us today and be on your way to enjoying your new system. 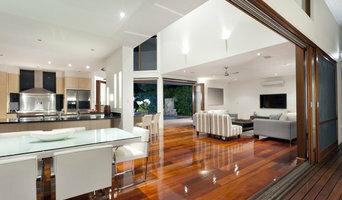 Residential and commercial customers dreams can come true, with 100% complete customer satisfaction. Thus, becoming the only company you need to contact for all your needs and services as they apply to wiring, custom installations, pre and retro wiring. Mr. Mancave is an Audio & Video company that specializes in residential and commercial audio and video systems, and of course we build the world's most fabulous ManCaves. We’ve worked with hundreds of clients, from a simple living room theatre to complete construction of a corporate office security installation with board room mobile control audio/visual systems. We have more than four decades of experience creating, designing, and installing home theaters, surround sound systems, media rooms, whole house audio, wireless music systems, security and all aspects of the modern smart home. At the heart of our business is you, our customer. It’s critical to us that we implement your plan, your way. We’re not here to try to convince you to buy a particular product or to try and sell you services you don’t need. Each design and implementation is tailored for your specific needs. 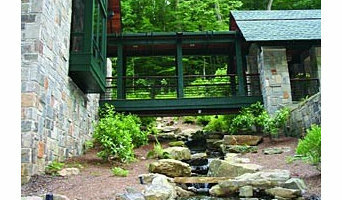 Our goal is always to realize your Man Cave dreams using our well-earned experience and expertise. We’ve seen what works and what doesn’t and are up-to-date with the latest cutting-edge technology. We won’t quit until the job is complete to your satisfaction. In fact, we’ll even follow-up to make sure you’re genuinely happy because your satisfaction is what motivates us. Mr. Man Cave will deliver a premium quality experience for your custom needs. Our guarantee and customer care is unequivocal. Give us a call today, we would love to hear from you! 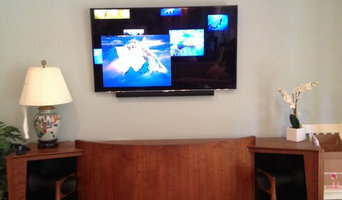 Elite Home Theatre creates high quality, state-of-the-art, custom media solutions to meet your needs and specifications. 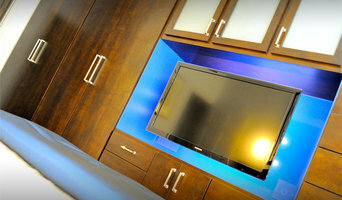 We do everything from mounting televisions to designing high end, custom home theater rooms. We handle all aspects of your home or office media center design, including construction, installation, programming, and training. Experienced With over a decade of installations, we're ready to make your dream a reality! Connector. Knowledgeable Our installers are highly trained professionals who are very knowledgeable in their field. Attentive Your needs are what matters most. From scheduling to budgeting, we always keep you in mind. In today’s economy, entertainment is moving to the forefront of family down time. Many opt. for installing a home theater for several reasons. Not only do they save money on the cost of going out to the sports bar or movie theater, but you have the convenience of not having to stand in lines or trying to see over the guy in the obnoxious hat in front of you at the theater. Not to mention the candy and soda is cheaper and who can go wrong with that? Let AV Pro take your home entertainment, safety, and convenience to the next level. We offer several top brands of equipment to suit your needs and budget. Give us a call today for a free estimate! Redpoint began as a dream to simplify and prioritize the (A/V) industry. We have a combined 35+ years of experience and have been involved in countless projects across the U.S. Our team has designed and installed systems in college football stadiums, hotels and resorts with distributed audio systems, restaurants and venues with live audio capability, and full audio, video and lighting packages in Houses of Worship. ABOUT AVX Audio Video Excellence was created to fulfill a growing need in the audio-video custom installation arena. In the beginning, the focus was almost exclusively on providing leading edge audio-video systems in central Alabama. Founder Jared Lewis had worked in the local audio/video industry, but was frustrated at the inability to fully satisfy his clients' needs. So in 1999, he set out to start his own company. Read Jared's thoughts on growth, success and what sets AVX apart. Audio & Video Service Co. Since 1980, Audio & Video Specialists, Inc. has been Alabama's largest custom electronics design, installation and service company. Our reputation for design, quality, innovation and professionalism has been carefully built with thousands of successful installations and satisfied customers. Audio & Video Specialists, Inc. has a complete home installation division staffed with project coordinators, designers and professional audio/video installers. Our team will install and deliver the vibrant sound and audio to one room or to your entire home. The integrity of any system, no matter how large or small, depends on its proper installation. 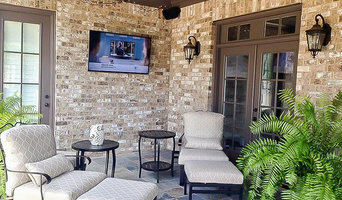 At Audio & Video Specialists, Inc. our installation team is carefully trained to make sure that your system not only functions at its optimum capability but also blends into your home seamlessly. We use only the highest-grade material in our installations to ensure great performance. But a system also has to look good, so all wires and cables are carefully run for that truly "custom" look. From a simple set of in-wall speakers to a complete audio/video system, we guarantee a perfect installation. Home media specialists not only can design the seating and decor for your dream home theater, but most of them can help you find specific media control options, conceal your television and various accessories, set up optimal seating, choose and install ideal lighting, and help create the ultimate viewing environment. Some of these Alabama professionals work entirely on their own, while others work with subcontractors to get the job done. Here are some related professionals and vendors to complement the work of home automation & home media: General Contractors, Interior Designers & Decorators, Paint & Wall Covering Dealers, Furniture & Accessories, Specialty Contractors. Find a home media designer on Houzz. Narrow your search in the Professionals section of the website to Brook Highland, AL home media designers. You can also look through Brook Highland, AL photos by style to find a room you like, then contact the professional who designed it.